tools into one organic unity of the highest quality. BSA is a contemporary school dedicated to developing the performer's art. body and imagination, based on the Coordination Method devised by Grzegorz Bral and Song of the Goat actors. of contact work to develop and expand your individual performing abilities. on the integration of all the acting tools into one common and organic unity of highest quality. 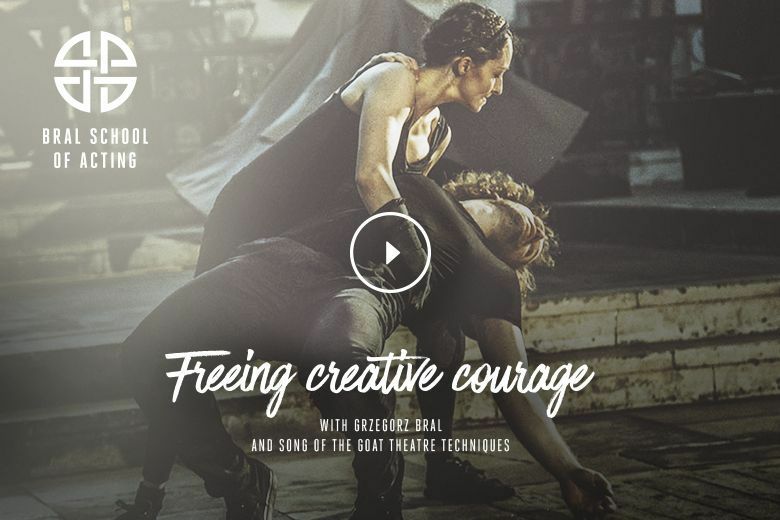 This course is directed by Grzegorz Bral with teachers and practitioners from the Song of The Goat Theatre (Teatr Pieśń Kozła) as well as highly qualified teachers and directors from the UK. This Master Course is designed to train graduated and/or experienced act ors who wish to further develop and research new acting methods. Performance devised by the students of Bral School of Acting. In this interview Grzegorz Bral director of Song of the Goat Theatre and BSA talks about coordination technique and his approach to theatre and performing arts. Acting Coordination Method is an Original practice based on the integration of all the acting tools into one common and organic unity of highest quality. All applicants are required to submit an application form. Return the completed application form along with your CV, a recent photo and a short statement of interest. Next, applicants will be requested to take part in a short (couple of days) workshop, which acts as an audition for those interested in the course. QUALIFYING MEETING - Eligible candidates will be invited to a qualifying meeting with Grzegorz Bral.